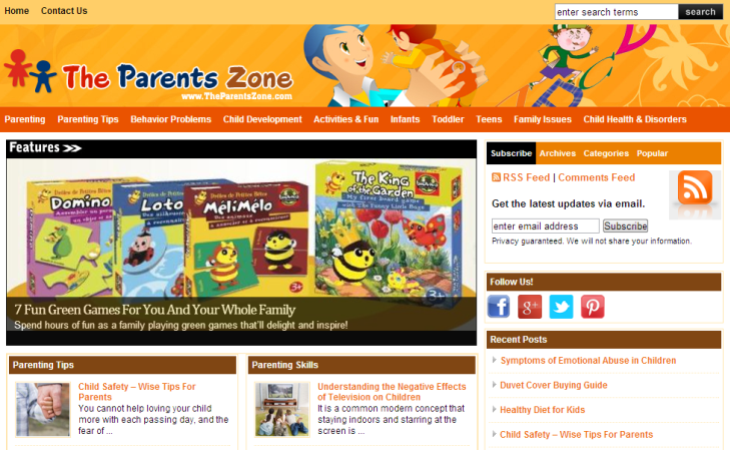 Theparentszone.com was first created with the idea of making parenting less of a challenge and more of fun for the new age parents. Its main focus is helping out with the behavioral aspects of raising a child. The site focuses on topics that range from parenting skills to child development and behavioral problems to health issues. It also helps parents tackle emotional turmoil among their young ones and teenagers as well. Adolescent issues are more prominently featured among all articles as these issues are of great concern to the parent as well as the future of the world.